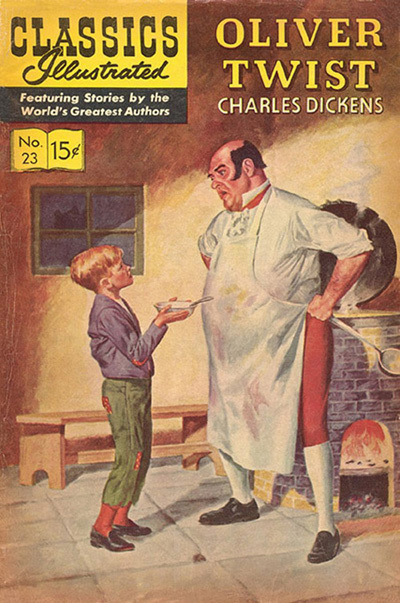 Oliver Twist by Charles Dickens is one of the most famous books in the world and it has been filmed many times and is also a hit musical. 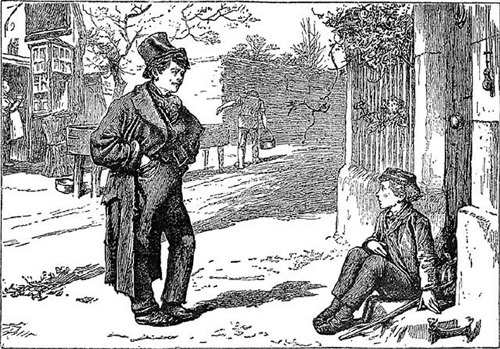 But what would have happened to Oliver if he had not gone through Barnet or if the Artful Dodger was not in the town at that time. He would not have meet Fagan and his adventures may not have happened. So Barnet has its place in English Literature as well as its place in English history. Early on the seventh morning after he had left his native place, Oliver limped slowly into the little town of Barnet. The window-shutters were closed; the street was empty; not a soul had awakened to the business of the day. He had been crouching on the step for some time: wondering at the great number of public-houses (every other house in Barnet was a tavern, large or small), gazing listlessly at the coaches as they passed through, and thinking how strange it seemed that they could do, with ease, in a few hours, what it had taken him a whole week of courage and determination beyond his years to accomplish: when he was roused by observing that a boy, who had passed him carelessly some minutes before, had returned, and was now surveying him most earnestly from the opposite side of the way. 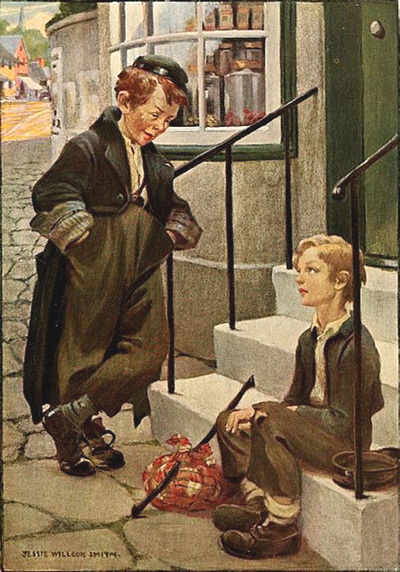 The boy, who addressed this inquiry to the young wayfarer, was about his own age: but one of the queerest looking boys that Oliver had even seen. He was a snub-nosed, flat-browed, common-faced boy enough; and as dirty a juvenile as one would wish to see; but he had about him all the airs and manners of a man. He was short of his age: with rather bow-legs, and little, sharp, ugly eyes. His hat was stuck on the top of his head so lightly, that it threatened to fall off every moment--and would have done so, very often, if the wearer had not had a knack of every now and then giving his head a sudden twitch, which brought it back to its old place again. He wore a man's coat, which reached nearly to his heels. He had turned the cuffs back, half-way up his arm, to get his hands out of the sleeves: apparently with the ultimated view of thrusting them into the pockets of his corduroy trousers; for there he kept them. He was, altogether, as roystering and swaggering a young gentleman as ever stood four feet six, or something less, in the bluchers. Assisting Oliver to rise, the young gentleman took him to an adjacent chandler's shop, where he purchased a sufficiency of ready-dressed ham and a half-quartern loaf, or, as he himself expressed it, 'a fourpenny bran!' the ham being kept clean and preserved from dust, by the ingenious expedient of making a hole in the loaf by pulling out a portion of the crumb, and stuffing it therein. Taking the bread under his arm, the young gentleman turned into a small public-house, and led the way to a tap-room in the rear of the premises. Here, a pot of beer was brought in, by direction of the mysterious youth; and Oliver, falling to, at his new friend's bidding, made a long and hearty meal, during the progress of which the strange boy eyed him from time to time with great attention. 'Don't fret your eyelids on that score.' said the young gentleman. 'I've got to be in London to-night; and I know a 'spectable old gentleman as lives there, wot'll give you lodgings for nothink, and never ask for the change,that is, if any genelman he knows interduces you. And don't he know me? Oh, no! Oliver with a comfortable place, without loss of time. This led to a more friendly and confidential dialogue; from which Oliver discovered that his friend's name was Jack Dawkins, and that he was a peculiar pet and protege of the elderly gentleman before mentioned. half suspected he should, to decline the honour of his farther acquaintance.